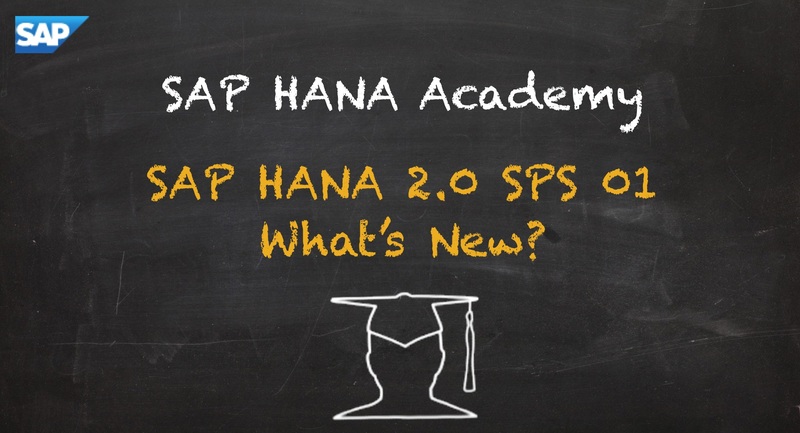 In the upcoming weeks, we will be posting new videos to the SAP HANA Academy to show new features and functionality introduced in SAP HANA 2.0 Support Package Stack (SPS) 01. We will also post additional blogs to provide some more context and links to additional documentation (when available) and other resources. We will keep these blogs updated in the next couple of weeks and feel free to add your comments should you have any questions.